'Gregory House' is presently utilised as a highly successful visitor accommodation premises, yet began its life as a residence c1900. 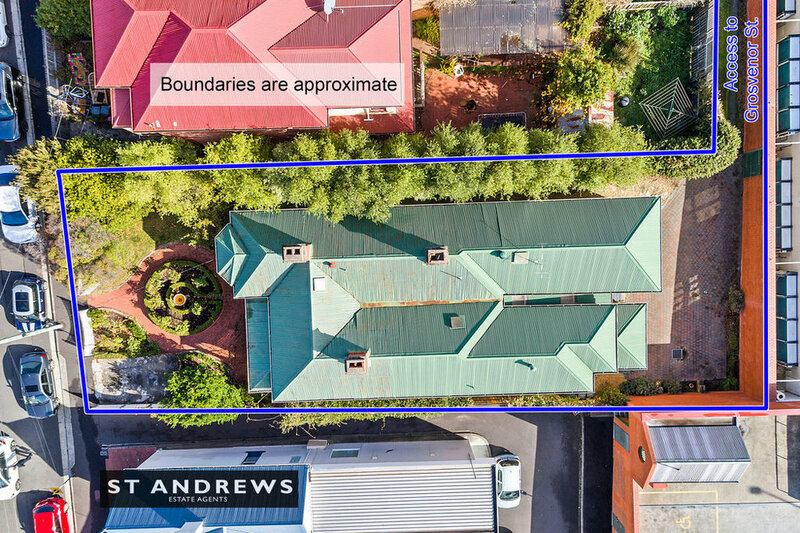 The property offers exceptional versatility, further complimented by its flexible Inner Residential zoning and first class position, steps away from the hustle and bustle of Sandy Bay's commercial centre. Purchasers can continue operating the existing visitor accommodation business, which is a permitted use under the Hobart City Council Interim Planning Scheme or as a residence, in what is a tightly held and highly sought-after area. Under current ownership the property has been extensively refurbished and offers stylish renovated interiors, which highlight character features including polished floor boards, high ceilings, fire-places, ceiling roses and picture rails. The building presents a wonderful classic Federation facade behind established gardens and is a local landmark. The building comprises a central light-filled hallway, seven double bedrooms, 6 ensuite bathrooms, laundry, modern kitchen and an adjoining open plan dining-living area. The property presents beautifully, having been refurbished throughout in recent years and is being on a 'walk-in walk-out' basis incorporating quality furniture and inclusions. The property is complimented by excellent off street parking off both its Gregory Street frontage and also to the rear via a valuable ROW emanating from Grosvenor Street, and opening onto a paved parking/outdoor area. There is a pretty front verandah and established gardens. Step outside and you are literally within short walking distance of every conceivable amenity: major supermarkets, cafes, medical services, restaurants. This compelling blend of characteristics in what is a core Sandy Bay location is extremely rare offering deserving of close attention.